There is sad news to report from the search for missing 12 year old Autumn Pasquale. Authorities have found a body inside a recycling container in Clayton, NJ that has been initially identified as Autumn Pasquale. The body was found at about 10 p.m. Monday although police have not disclosed the exact location. Autumn Pasquale had been missing since 10/20/12 when she left her home on her bike. An autopsy to confirm the body’s identity will be conducted by the Gloucester County Medical Examiner’s Office. Our hearts and prayers go out to the family and friends of Autumn Pasquale. The body that investigators found inside a recycling container in Clayton, N.J., has preliminarily been identified as that of a 12-year-old New Jersey girl who went missing this weekend. The body was found at about 10 p.m. Monday, according to a statement released by Bernie Weisenfeld, spokesman for the Gloucester County Prosecutor’s Office. Police have not given the exact location of the recycling container, but indicated that it was not far from Autumn Pasquale’s home. She was reported missing Saturday night. I can only hope they find the monster responsible for this heinous act. The world if full of predators and we must protect our children. God bless this child, may there be justice for Autumn. For more updates and discussion, go to Scared Monkeys missing persons forum: Autumn Pasquale. Search parties made up of friends, family and members of the public expected this morning to resume the search for a missing borough preteen. Many of them woke up to find they would instead spend their day and the foreseeable future mourning. Authorities with the Gloucester County Prosecutor’s Office await the autopsy of a body believed to be Autumn Pasquale. The body was found inside a recycling container less than a mile from Pasquale’s home, 58-hours after she was last heard from. 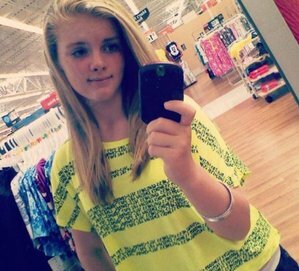 UPDATE II: Two teenage brothers, ages 15 and 17, have been arrested and charged in the murder of 12 yer old Autumn Pasquale. The teen boys’ mother contacted authorities about a posting on one of her sons’ Facebook account. This helped lead police to the boys where the police obtained a search warrant. Inside the home the police found personal belongings of Autumn Pasquale, including Autumn’s white BMX bike that she was last seen rising before she disappeared. At a press conference Tuesday afternoon, Gloucester County Prosecutor Sean Dalton said Autumn died of blunt force trauma in a manner consistent with strangulation. He said the death had been ruled a homicide and that there were no signs of sexual assault. The brothers, ages 15 and 17, were each charged with first-degree murder, conspiracy to commit murder, tampering with evidence, disposing of a body. Police said the brothers turned themselves in to authorities on Tuesday. UPDATE III: Justin and Dante Robinson Lured Autumn Pasquale to their Home … Liked her “Find Autumn Pasquale” Facebook page. Both brothers were charged Tuesday with first-degree murder, conspiracy to commit murder, disposal of the body, theft and tampering with evidence. Justin Robinson also was charged with luring, authorities said, because he allegedly had asked Pasquale to come to the house under the pretense of trading bicycle parts. A break in the case came when the teen’s mom noticed a rather strange posting on their Facebook page. “Might be moving,” Justin wrote Sunday, adding a sad-face emoticon to the message. 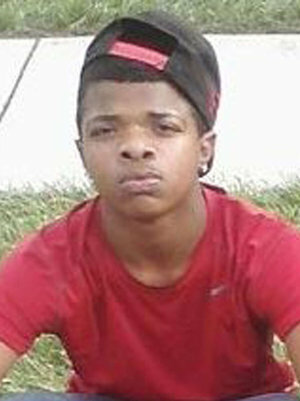 On Tuesday, family and friends were posting on Justin Robinson’s wall, saying they loved him and were thinking of him. Some asked him to pray for forgiveness. “I love you so much little brother,” the boys’ older brother, Michael, wrote to Justin. Autumn Pasquale also had an older brother, and he vented frustration on Justin Robinson’s Facebook page not long after the news conference. “I know u won’t see this but I’m just letting u know that I am coming for [you] next time I see ur face or ur brother donte I’m kicking ur asses,” A.J. Pasquale wrote on Justin Robinson’s wall. Justin had also commented on the search on A.J.’s page while it was still in progress. 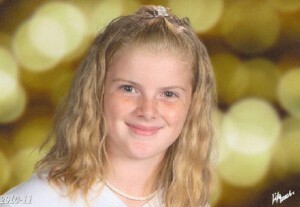 12 year old Autumn Pasquale has been missing since Saturday, October 20, 2012 in Clayton, NJ. Autumn Pasquale was last seen at approximately 12:30 pm leaving her home on W. High Street in Clayton while riding her white Odyssey BMX bike. However, she was not reported missing until 9:30 Saturday night. The following departments are searching for Autumn Pasquale, borough police and officers with the Gloucester County Prosecutor’s Office – along with the area CART (Child Abduction Response Team). Police say Autumn Pasquale, 12, was last seen leaving her home on W. High Street in Clayton on Saturday around 12:30 p.m. while riding on a white Odyssey BMX bike. The girl’s parents reported her missing at 9:30 p.m.
Police say Pasquale may have been spotted at an unknown time on E. Academy Street near Scotland Run Park in Clayton though this has not yet been confirmed. The girl is described as a white female, standing 5-foot-2 and weighing 120 pounds with blue eyes and blonde hair in either a pony tail or bun. She was last seen wearing navy blue shorts underneath navy blue sweatpants, a yellow t-shirt with the words “Clayton Soccer” on front, bright blue high-top sneakers and a silver or light grey Cinch backpack with the word “Reckless” printed across the back. If anyone has any information with regards to the disappearance of Autumn Pasquale, please call police at 856-881-2300. UPDATE I: Search for Missing Autumn Pasquale – Police and family members believe Pasquale’s cell phone is now turned off. I just got off the phone and her mailbox is now full,” her uncle, Paul Spadafora, told Action News. Both police and family members believe Pasquale’s cell phone is now turned off. Relatives say they have reason to believe the girl could’ve ventured to the area of Scotland Run Park. They spent Sunday searching these grounds. UPDATE II: The FBI Joins the Search for Missing Autumn Pasquale. UPDATE IV: The body of 12 year old missing Autumn Pasquale believed found in recycling container.